Cantarell is the default interface font in both GNOME and Fedora Workstation. In this updated version of GNOME, Cantarell is refreshed, with updated glyph shapes and spacing. Additionally, there are two new weights: light and extra bold. 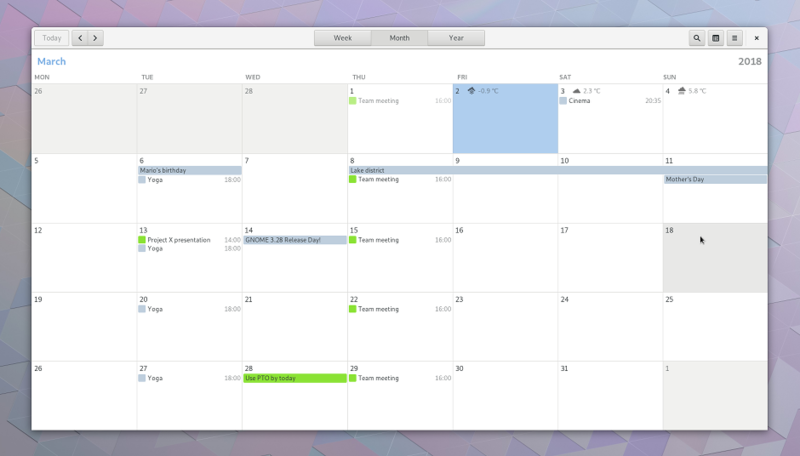 There are many more changes and enhancements in this major version of GNOME. Check out the release announcement and the release notes from the GNOME Project for more information. 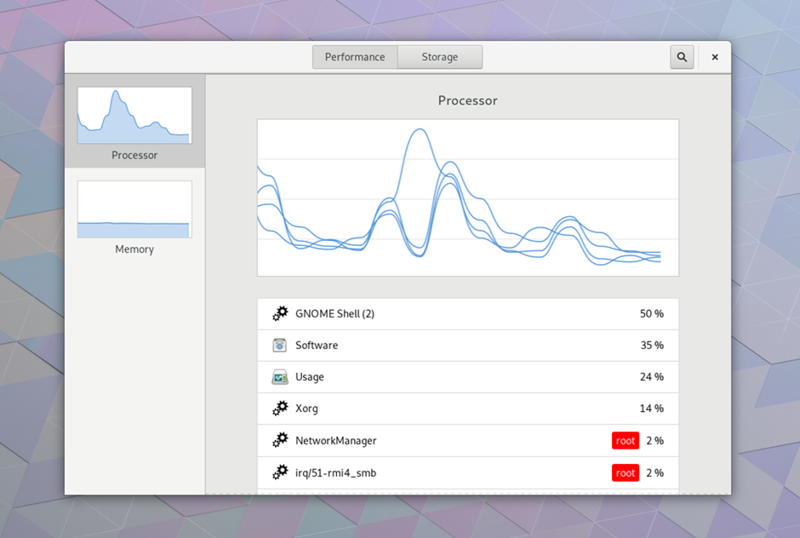 Also, check out this awesome rundown of the best new GNOME 3.28 features from OMGUbuntu. If you pay attention to the first screenshot, the fact that “Usage” is using 24% of the cpu it’s pretty hilarious to me. How can I “diagnose and resolve performance and capacity issues” if the tool I’m using to troubleshoot the problem will cause a steady cpu usage spike? @Angelo: Usage is a new application that is a technology preview. That means it may be rough around the edges. Read the GNOME 3.28 release notes and you can learn more about it, such as this gem: “More Usage features are planned for the future, including the ability to investigate network, power and data usage.” Be patient, or better yet, help the GNOME community test and refine it. Just upgraded to F27 from F24, first time running full Wayland. Awesome is all I can say. Doing about 95% in linux now. Will GNOME 3.28 be available for Fedora 27? Last image’s subtitle is supposed to say GNOME 3.28, not 3.26 (I guess). I have the beta1.3 release candidate. Where is the option to put the home folder, trash can and mounted drives onto the desktop? Now, to view the home folder, it takes three mouse clicks instead of one. On other sites I posted a workaround that mostly covers the sad decision to eliminate /home, /mounted and TrashCan from the desktop. So far, that solution follows Gnomes’s rules for use of the favourite bar, the panel at the foot of the screen, and a few launcher (xxxx.desktop) objects.